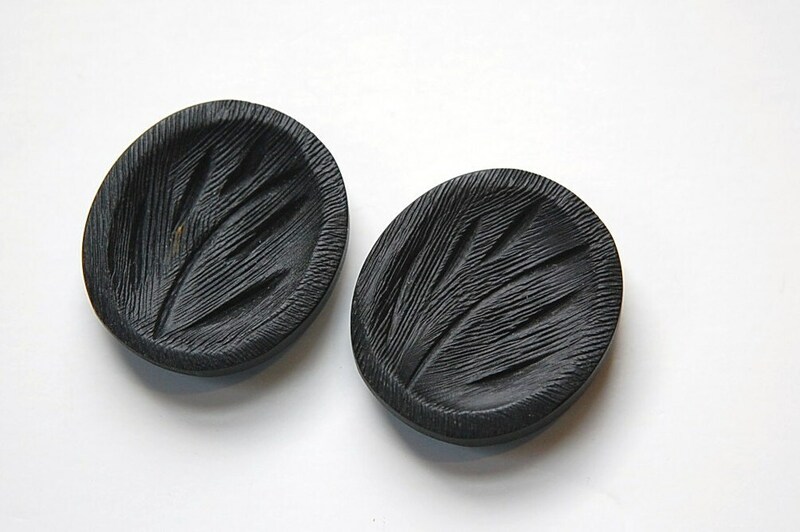 These are oval black plastic vintage buttons. The front has an etched, perhaps faux wood look, front with a modern looking plant or tree. The back is flat and smooth and has a self shank. These measure 34mm long X 30mm wide. 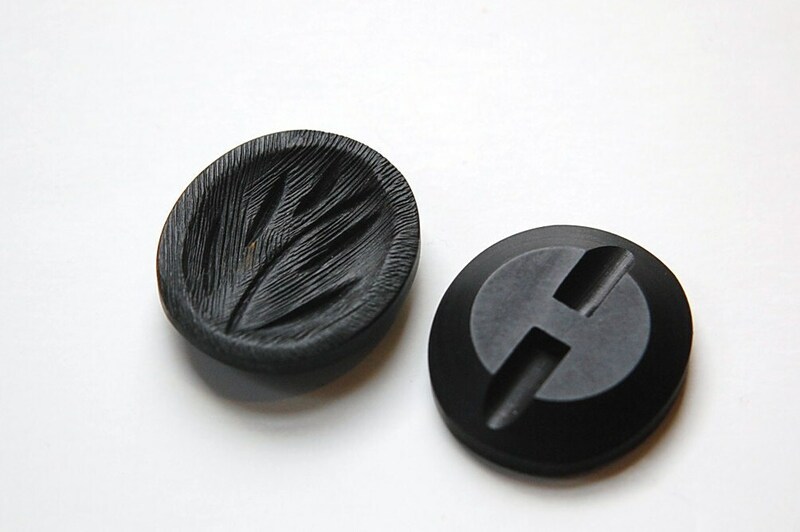 You will receive 2 buttons. Received , very happy as described! Great fast AAAAA many thanks! These were just what I wanted. They are the correct size and are very nice. I love the decoration on them and will be an asset to my knitting bag.